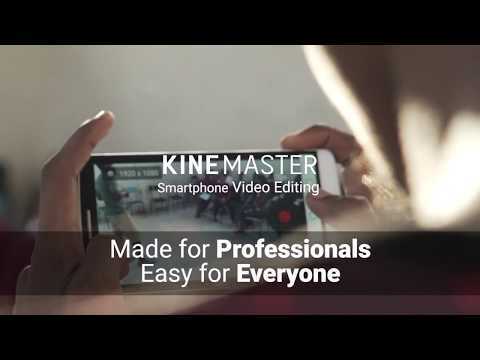 KineMaster is a subscription application for professional editing of any kind of content on Android gadgets. The software supports the majority of content options: photos, videos, audios and text documents. With its help user can cut, multi-track, trim, control volume, manage color filters, work with 3D-format and so on. Even function of direct drawing on videos is available. You receive a total control over the editing of files on your mobile device. Plurality of photo, video and audio effects, stickers, animations, layers and filters is at your service. Mosaics, wipes, blur, fades, themes and more. Instant preview for every edit and real-time recording are available. You can control all the content features including brightness, hue, saturation, speed and even voice sounding. Share your creations on Facebook, YouTube, Dropbox, Google+ and other services. The app supports most devices running Android 4.1.2 and above. You can work with dozens of content formats. You need to grant KineMaster access to your gadget camera and microphone for recording directly in the application. For saving files the access to your device storage is required as well. You can use the app both by subscription and in trial mode. In the second case all your videos will have watermark “Made with KineMaster”. - Feature Update: Support for high-efficiency video coding files (HEVC, H.265) has been added! Import and edit HEVC files with ease. - SNS channels added: Access the KineMaster SNS channels directly from the Help & Support screen. Stay up-to-date with the latest KineMaster news! Update to the latest version of KineMaster: create, edit, and share your story. • Fixed the issue where the watermark is not removed when video contains Muserk music and is exported to YouTube. *KineMaster 4.1.1*Video layers are finally here for more devices! This version expands support for video layers and chroma key to many more phones and tablets. See https://goo.gl/0jNXBy for a complete list. We are also pleased to announce a partnership with Muserk that will allow you to share personal, non-commercial videos without the watermark on YouTube; see the Asset Store music section for details. This update also includes a new "duplicate as layer" option for clips on the main timeline.